Guerrilla Bob: Guerrilla Bob is now available on Android!!! 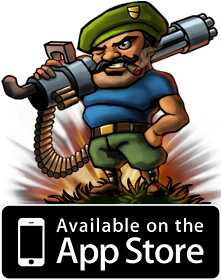 Guerrilla Bob is now available on Android!!! 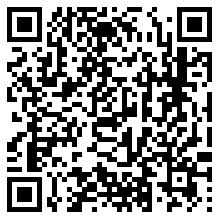 We just released Guerrilla Bob on the Android Market! As always, you'll be able to connect your Android device to any other device where you see Bob: iPhone, iPad, iPod touch and Mac, and play a Multiplayer game. The game will also have a special optimized version for the upcoming Xperia Play. It definitely works fine on the Nexus One. It's one of our development phones. We don't have any demo/lite version planned, so I can't promise you anything about that. Looks very amazing, can you accept PAYPAL ? the game is awesome!! but is possible to have the right pad like gun bros and minigore without auto-aim?? i think that iphone's version have this feature..why not also implemented for Android?..thanks and sorry for my bad english.. But data memory too much waste for downloading sound. Please separate independent data folder for next update. Thank you provide us funny game. does it work on htc desire hd? can i pay using paypal? thanks! I cannot run under ZTE Blade(San Francisco from Orange.co.uk) with CM7 ROM (android 2.3). Logcat said when loading MONO, the findLibray returned null. Support for zte blade coming ? @kimi Sorry, the ZTE Blade doesn't have Floating Point and Vector Units, so it can't run our engine. I'm afraid there's nothing we can do about it.